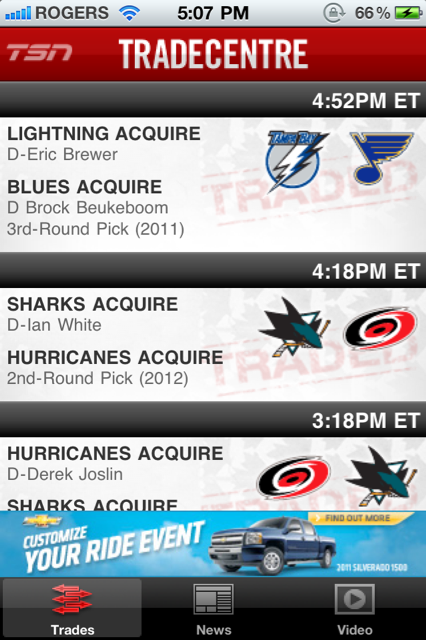 The NHL trade deadline is approaching soon–February 28th to be exact. What’s the best way to keep track of trades in real time? 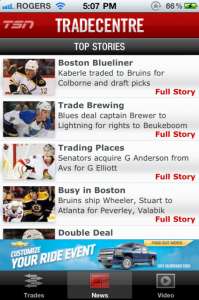 Download TSN’s TradeCentre Edition. 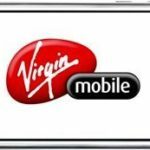 This app covers all of the breaking trades you want to hear about and includes Push Notifications so you get them in real time, before your friends do. 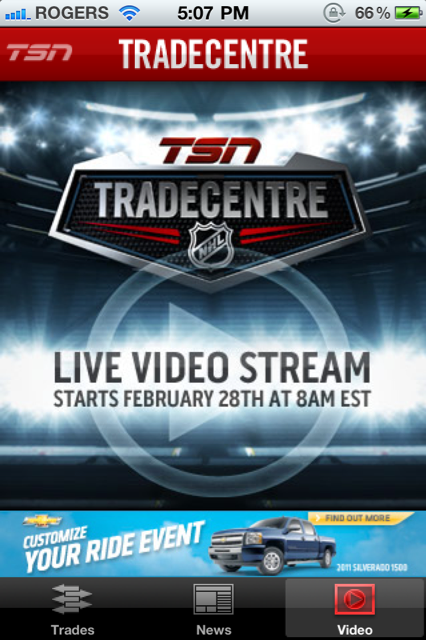 Even better, starting on 8AM EST on the 28th, you’ll be able to watch a live video stream within the app! 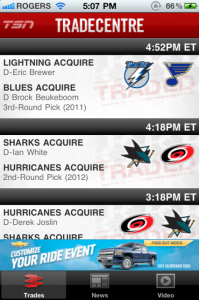 Mad props to the TSN team for all of their iOS apps: TSN Mobile and Masters Live (my favourite). TradeCentre edition is also for the iPad! 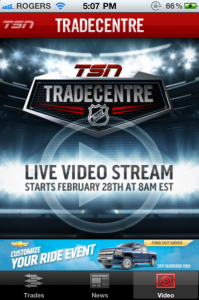 Click here to download TSN Mobile TradeCentre Edition–it’s free!